DeMilio is originally from the rolling hills of upstate New York, but is quickly settling in to life in Bloomington-Normal. Prior to her new role at ISU, she worked as an international admissions support Counselor within the Graduate School at Binghamton University. It is there that she earned her master’s degree in student affairs administration with a cognate in public administration. 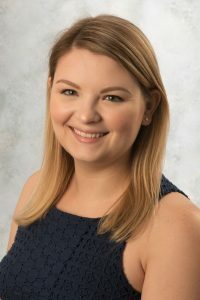 DeMilio was introduced to the world of education abroad while completing her bachelor’s degree in psychology and French at Siena College in Loudonville, New York. During her junior year, DeMilio studied abroad in France at l’Institut Catholique de Paris where she advanced her French language skills and immersed herself in French culture. She is looking forward to helping ISU students make the most of their own study abroad experience and is excited to also be the RSO Advisor for the Study Abroad Mentor Program (StAMP). Hartley comes to ISU after working for over 2 years as a college advisor for the TCU College Advising Corps, where she helped high school students prepare for post-secondary education. She received a master’s degree in educational leadership in higher education and a bachelor’s degree in business administration in marketing, both from Texas Christian University in Fort Worth, Texas. During her junior year of college, Hartley spent a semester in Sevilla, Spain, finishing her Spanish minor and taking International Business courses at the Universidad Pablo de Olavide. A native of Colorado, and has enjoyed her first couple of months Bloomington-Normal, especially biking on the Constitution Trail and going to Uptown Normal. 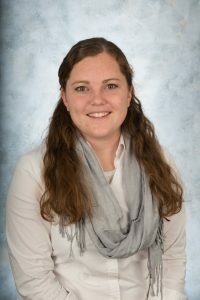 She is excited to join the ISU Study Abroad Team and to help students plan their life-changing study abroad experiences. The Study Abroad Unit looks forward to the 2018-2019 Academic Year and continuing to serve the over 550 ISU students that study abroad annually. As a reminder, the Office of International Studies and Programs has relocated to its new location on the first floor of Williams Hall in room 102. For more information about Study Abroad visit studyabroad.illinoisstate.edu.